Little Office of the Blessed Virgin Mary: 2. THE SAVIOUR. THE UNIVERSAL EXPECTATION OF THE SAVIOUR. "And there shall come forth a rod out of the root of Jesse, and a flower shall rise up out of his root." —Is. xi. 1. All Christians know that God created our first parents, Adam and Eve, innocent and happy; that He gave them that liberty without which their homage and obedience would have had no merit; that the devil, the first creature who revolted against his Creator, envied their happiness and tempted and ruined them; and that, fallen from the sovereignty over the creation which God had given them, they were expelled from the terrestrial paradise, and condemned to labour, suffering, and death. We are all the children of these two exiles, who lived in sorrow upon the earth, which was smitten with a curse. All the millions of men now scattered over the earth are the children of one family, and science as well as faith, tracing its way back through the obscurity of so many centuries, to the very source of this immense family, leads us back to the same origin. Now, daily experience shows us, that in a family, honour or shame, health or sickness, features, and sometimes the most delicate shades of character are carried down from father to son, from ancestor to descendant. In the world the innocent child bears the stain of the fault which he has not committed; and a father would never consent to give his daughter in marriage to the son of a criminal, for, besides the shame, he would fear that the father's crime might run, like poison, in the veins of the son. This human law is just, though severe. Do we not experience at the bottom of our hearts, this feeling of partaking both in the honour and shame of any member of our family, village, or country? Have not our hearts beat at the news of a victory, or at the remembrance of one of the glories of our country? When a man has nobly done his duty, and the public voice brings his name to the ears of his countrymen, how proud and happy they are! His family is surrounded by a crowd of friends anxious to partake its joy. Or if a man has disgraced himself, his friends and family share his shame. How grievous is the sorrow of any family if one of its members commits some infamous action: if he comes to the scaffold, what shame for his brothers, sisters, and all his relations; solitude closes round them, the best-intentioned speak low as they pass, and others point the finger at them. In order to regain their reputation, lost through no fault of theirs, they have to spend a life of labour and courage, for man does not easily forgive; and, besides, though the son of a criminal may, through God's grace, grow up an honest man, yet there is no doubt that the father's crime is a continual injury to the son. But if we, sinners as we are, judge so severely those who, after all, are only a little worse than ourselves, if we reject their society, and shudder at the idea of an alliance with them, can we not understand how justly God, who is holiness itself, repulsed a creature, made after His image, to love and serve Him, who had revolted against the end of its existence ? As the victory of Adam over the devil would have been our glory, so his disgraceful defeat is our ignominy; and as children of a great criminal, we have in our veins a secret poison which inclines us to sin, as our father has sinned. There is, however, a great difference between the justice of God and the justice of man; for with God, pardon and hope are always side by side with punishment. " When Thou art angry, Lord" says a prophet, " Thou wilt remember mercy" (Habac. iii.) It is at the very first moment of our condemnation that we find the first proof of this truth. When Eve, bowed down under the weight of Divine anger, accused the devil who had deceived her, God pronounced a curse upon him, saying, " I will put enmities between thee and the woman, and thy seed and her seed: she shall crush thy head, and thou shalt lie in wait for her heel" And behold, the guilty woman, through whom the tempter had just succeeded in bringing sin and death into the world, saw through her tears, in the distant future, which the light of God made clear to her, a woman through whom salvation was to come, triumphing over the serpent. Whilst punishing Eve God promised Mary. It was with this hope that our first parents went into the land of exile, that they cleared away the thorns and thistles in the sweat of their brow, and that they endured the horrible grief of seeing the consequences of their sin shew themselves in their children; crime in Cain, death in Abel. It was this hope which enabled Adam to endure life during nine hundred years, and which taught the children of Seth, his youngest son, to resign themselves and to wait as he did. Generation succeeded generation, and the children of Seth were mixed up with the children of Cain, the murderer of his brother. But God placed the treasure of His promise in a chosen family, and when His justice covered the earth with the avenging waters of the deluge, Noe saved the human race in the ark, and preserved the hope of the Redeemer. Then, as Noe's family became extended, and began to re people the earth, the germ of evil reappeared in the descendants of those good men whom God had spared. Darkness was spread over the earth, and the true light remained only in the hearts of a small number. Then God chose from amongst them a man destined to become the father of a people, in which the deposit of truth should be preserved for centuries, and in the midst of all human errors. " And God said to Abraham : Go forth out of thy country', and from thy kindred, and out of thy father's home, and come into the land which I will show thee. And I will make of thee a great nation, and I will bless them that bless thee, curse them that curse thee, and in thee shall all the kindreds of the earth be blessed" Abraham obeyed the word of God. He was obedient all his life with an heroic fidelity, separating himself from the rest of men by that docility which is the mark of the elect. He is ready to sacrifice to the Lord even his son, the pledge of His promises. Then God stays his arm, restores to him his son, and renews His promises, and the covenant passes from the faithful father to the son. I will multiply thy seed like the stars of heaven, said God to Isaac, and I will give to thy posterity all these countries; and in thy seed shall all the nations of the earth be blessed. The family which was to become the people of God increased. They lived neither in houses nor in towns, but travelled about feeding their flocks. The patriarch or father was the chief whom all obeyed. His life, though shorter than that of Adam and his first sons, was, nevertheless, far longer than ours, in order that the old man, who had seen so many things happen for more than a century, might instruct the generations which sprung up around him like the young shoots round a great tree. After the death of the patriarch, God renewed the promise directly to his son. Abraham, Isaac, and Jacob, received it each in turn in the same form of words. I will multiply thy seed like the stars of heaven, and like the dust of the earth: in thee and in thy race shall all the nations of the earth be blessed. Now this blessing is the Redeemer, who was to be born of this chosen race, and to save all men. As time goes on, we see this promise unfold itself more clearly. Jacob is led into Egypt through the wonderful fortunes of his son Joseph, the saviour of his brethren, who had betrayed him, a touching figure of Jesus Christ. The patriarch dies surrounded by his twelve sons, who are about to form, in the midst of the idolatry of Egypt, the twelve tribes of the people of God. Enlightened on his deathbed by Divine inspiration, he points out which of his sons is to become the father of the royal race out of which would come the Saviour. Juda, thee shall thy brethren praise......... the sons of thy father shall bow down to thee The sceptre shall not be taken away from Juda, nor a ruler from his thigh, till He come that is to be sent, and He shall be the expectation of nations. The growing prosperity of the children of Israel alarmed the Egyptians. A terrible persecution rose against them; but in vain did they load them with work, and reduce them to the most cruel slavery, the Hand of God protected them. In vain were their new-born children exposed on the waters of the Nile: God guided the frail cradle which bore the liberator of His people; He moved with pity the daughter of the persecutor himself, and the child who was saved from the waters became Moses, the greatest of His servants. We all know by what wonders God delivered His people from the slavery of Egypt, and led them through the desert. Too often evil appears amongst the children of Israel: they murmur ungratefully at the fatigues of the journey, and they return to the idols of Egypt. But God is with them: His Fatherly Hand guides them, His justice punishes them, His mercy pardons them. On the summit of Mount Sinai Moses receives from His mouth the written law, which confirms and fixes for ever the primitive law, which up to this time had been transmitted from the patriarchs to their sons. Moses renews in God's name the promise upon which all their hopes had been founded, and in the first pages of the sacred book in which he records by the inspiration of God the history of His people, the promise of the Redeemer is inscribed close to the condemnation. After forty years passed in the desert as a punishment for their ingratitude, the people of God entered at last into the promised land. There they are established by miracles, and the Hand of God is heavy upon their enemies. When they fall again into error the Hand of God is withdrawn from them, and their enemies become strong. When they return to God in slavery and sorrow, the Lord remembers His promises, and sends them a strong man who saves them. Their misfortunes infallibly follow their sins, their victories follow their repentance. Hoping to be defended against the reverses which they brought upon themselves, they ask for a king. Saul, chosen by God, and victorious so long as he is faithful, is abandoned when he disobeys, and perishes miserably. Then comes David, the great servant of God, the glorious king of the race of Juda, whose house shall keep the sceptre till He shall come who is to be sent. God gave to him the gift of prophecy. He saw beforehand the glories and the misfortunes of his people, but above all he saw with a clearness before unknown the promised Saviour, whom he calls at the same time his Lord and his Son. After him, and until the end, we find the same vicissitudes of good and evil, of mercy and chastisement. God raises up prophets to call His people to repentance, or to renew their hopes. Their words were carefully preserved and added to the books of Moses, and to those of the Kings, which were written by the inspiration of God; and as we read these Holy Scriptures we find in each page the promise of the expected Saviour. It is wonderful, as the ages advance, to see how this Divine Figure is gradually completed. Each prophet adds a feature, and at the same time the figure of that blessed woman promised to Eve appears from the shades of the picture. "A virgin," says Isaias, "shall conceive and bear a Son, and His name shall be called Emmanuel, which, being interpreted, is God with us." (Is. vii. 14.) The purest and most touching images are used to paint the Mother of the Saviour. She is the rod of Jesse, from which a flower shall rise up. (Is. xl. 1.) She is the rising morning; (I Cant. vi. 9.) she is the lily among thorns. (Cant. ii. 2.) The Jewish people; amidst all their ingratitude, retain this belief. "When they are led captive into the land of enemies charged to execute the vengeance of the just God whom they have offended, this hope follows them, and comforts them in the land of exile. When at last strangers reign over fallen Israel, for the punishment of its faults, it is again their strength and consolation in servitude. But this hope is mingled with many errors. Ungrateful in prosperity, the children of Israel weep and pray in the day of retribution. Supported by the recollections of the past, they know that the mercy of God is greater than their crimes, and they have a hope. But what is it ? A powerful king, a warrior who will crush their enemies, and raise Jerusalem from its ruins. 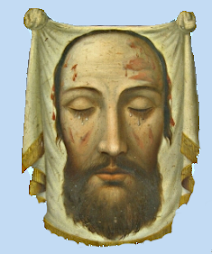 In vain the prophets describe to them the Man of Sorrows, the humble and resigned Victim who is to suffer and die for their salvation : their eyes are closed by excessive pride. However, they suffer and they wait. The race of David, though deprived of its throne, and oppressed like the rest, is still the royal race, honoured above all others, not so much for its past as for its future greatness. From it is to come the Desired of all Nations: they know and believe this. Daniel has told them the year of His birth, and the time draws near. 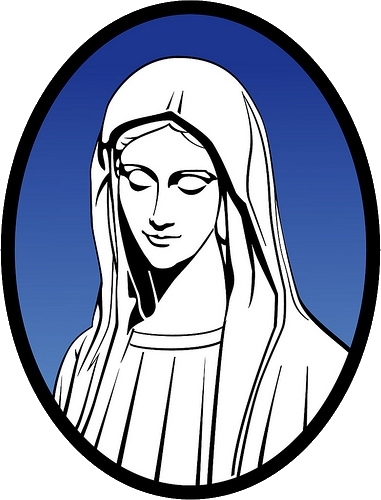 There is not a maiden of the royal house who does not daily beseech the Lord that the rod from the root of Jesse, the blessed virgin who is to be the Mother of the Saviour, may spring up from among her own children, and the woman whom God has deprived of the happiness of being a mother weeps in silence and humiliation. She is looked upon with contempt, as a barren branch on the tree which is to bear the precious fruit expected by all generations. Lively, however, as is this expectation of the Saviour among the people of God, it is not confined to the narrow space of Judea. "We shall find it amongst the idolatrous nations, and in spite of the darkness which surrounds it, we shall admire the providence of God which has caused this fragment of His promises to be cherished from age to age, amidst so many errors. Throughout the vast expanse of the universe there is but one small nation in which He is known and served, and even there how often does error and infidelity break in. All the rest of mankind live in ignorance of God, and a contempt of the law, of which a Christian can hardly form an idea. Of old the knowledge of the true God had been transmitted from father to son, from one faithful heart to another. But now it became more and more corrupted as each generation passed on. The parents turned away from God, the children were brought up in ignorance of Him, each generation became more miserable than the last. As no intelligent creature can live without worshipping a Superior Being, these poor blinded people made gods for themselves. Some, giving to creatures the homage due to the Creator, worshipped the sun which ripened their harvests, the moon and the stars which enlightened their nights. Others, still more foolish, made coarse likenesses of the Godhead, and, making gods as numerous as the attributes which they supposed Him to possess, they worshipped idols of wood or of stone, representing strength, power, fertility, vengeance, and the like. Others even (see what folly the human mind can reach when abandoned by God's light,) others went so far as to worship all the passions and vices under the names of gods, whom any of us would be ashamed to resemble. And then, what disorder, what a chaos of war and revenge, what a shock of conflicting passions, what oppression of the weak by the strong! O we little know from what Christianity has delivered us! Nevertheless, through this deluge of errors and crimes there are some scattered truths floating like the remains of a great storm, and which are found amongst nations least resembling each other, as a proof of their common origin. There is one especially, which is found all over the earth, the expectation of a Redeemer. Man might forget or deny the true God, but he could not deny the grief which was crushing him; he could not refuse to himself the hope of something better to come. Therefore we recognize it where-ever we go; the mind, wearied with the absurd errors of paganism, is enlightened by the sudden apparition of this truth. It is a light which strikes the sight and rejoices it, like that friendly light shining from afar, which points out to the villager his home as he returns through the fields some winter evening, and this hope becomes stronger and more likely as the time approaches appointed by God for the coming of the Saviour. When the time is accomplished the general expectation becomes impatient and restless. All nations, whether barbarous or civilized, are agitated. Prom their forests, from their deserts, or from their towns, they turn their eyes towards one spot, for they all know pretty nearly from which side of the earth the Saviour is to come. At this time the great city of Rome, after long and terrible wars, had made itself mistress of all known nations. God had permitted the establishment of this power, the most formidable which had ever ruled the world, for He designed great things for Rome. It was His will that it should become the place where all nations should assemble, and the centre of the world, so that the Gospel, having penetrated it, might be easily extended to the ends of the earth. He willed yet more, that this city, which then held all nations in subjection by its warlike power, should one day reign over the world through meekness and peace, although unarmed, despoiled, nearly destroyed, and Without any other power than the word of God; in a word, that it should become the centre of the Christian Church, the dwelling-place of the Pope, the Vicar of Jesus Christ on earth, the seat of the holy Roman Catholic and Apostolic Church, of which we are all children. But at the time of which I am speaking, Rome was all pagan. It was the metropolis of paganism, as it was to become the metropolis of Christianity. All the gods of all nations had their temples in the city, except the true God. And Rome itself was in expectation. Heathen poets announced in mysterious language both the Infant Saviour and the Virgin His Mother. It is related that one day the powerful Emperor Augustus, who reigned at this time at Rome, being troubled in his mind by a prediction of this kind, was going to the temple to consult the greatest of his false gods, when he saw in the clouds, over the temple itself, an altar, on which was standing a young woman beaming with divine purity, and holding an Infant in her arms. In fact, Mary and the Infant Jesus were soon about to dethrone, on this very spot, Jupiter, the king of the false gods. On the ruins of his temple now stands a beautiful church, dedicated to our Saviour and His Mother, and it is called the "Altar of Heaven" (Ara Coeli) in memory of the vision of Augustus. Let us who have had the blessing of being born in the light of the Gospel, often turn our eyes towards the- past, in order to understand all that we owe to God. Let us sum up, that we may always remember it, the history of man from the creation to the Redemption. One origin, one fall, one promise, one family from which springs the whole human race, the separation which exists even in this family between the good and the bad: then on one side the people of God preserved from age to age, wavering often, but always .upheld by the Divine mercy, and preserving the inheritance of the promise; on the other side, the heathen world separated from God, at first through their own fault, then through an incurable blindness, slaves of every passion, skilled in every crime, but enduring inexpressible sufferings, and preserving none of the truth except the hope of deliverance. As all the nations of the earth have a common origin, so there is but one deliverance for all the griefs of humanity, of which Adam's sin is the common source. In ancient Prance, the cry on days of victory and rejoicing, was 'Noel!' which means 'Christmas !' and this one cry expressed every joy. ' Christmas !' is also the cry of the rescued race of man, and all their hopes have their starting-point at the cradle of the Saviour. The proof is evident. To form an idea of the barbarity of idolatrous times, we have only to glance from afar to those unhappy lands on which the light of God has never shone. At the present time more than half the earth is buried in this darkness, from which Christianity alone has delivered us. Asia, and nearly the whole of Africa, are ignorant of the law of God, and all the horrors of which I have just spoken, the oppression of the weak by the strong, and barbarous selfishness, reign as powerfully in those lands as they reigned over the whole earth before the coming of the Saviour. At the present time there are countries in which the women are in a state of degradation and servitude which makes us blush for shame, in which men almost admit that their mothers and sisters have no souls. What, then, if we speak of those great empires of China and Cochin-china, in which for centuries past so many holy martyrs have shed their blood, in which millions of Christians were pursued, tortured, and torn in pieces, till brave Christian soldiers from Europe made idolatry tremble on its throne only a few years ago ? What, then, if we speak of those wild regions of Africa, where the men are organised into classes, and sold like brutes, or killed by hundreds, either by sacrificing them with dreadful tortures to a deified serpent, op by strangling them to enliven a festivity, or to accompany into the next world the soul of some chi$f. This is what goes on even in our days in countries where the kingdom of God is unknown. And, no doubt, the same or other like horrors would exist among us if the kingdom of God was no longer among us. Let us prostrate ourselves, therefore, before Him who has delivered us from this darkness, without any merit of ours. Let us love and serve with all our hearts the Divine Saviour who has redeemed us. Let us bless Him all the days of our life. Let us bless also the Immaculate Mother who gave Him to the world, and whose hands are always stretched out towards Him, to turn away from this too ungrateful world the scourges which would fall upon it, if' it was abandoned for a single day by its Saviour and its Deliverer. O holy Mother of our Saviour! remember us continually during these days which belong to thee, and which are the happiness of the children of God, and the misery of those who know Him not, or who abandon Him. . Of what shall we complain, now that the Lord has made us heirs of His kingdom ? What matter though the road be difficult, if the splendid horizon of our heavenly country appears without ceasing to encourage and strengthen us ? Stretch out thine arms, O Mother, towards us; shew thyself to us at the end of the journey, then, when we shall have marched courageously until the end, receive thy wearied children, present them to thy Divine Son, their Saviour and their hope, and may His kingdom, which they have sought on earth, become their reward in heaven. Amen. Never to pass a day without thanking God for having made us Christians.